Honestly, we couldn’t be more excited for the Wonder Woman movie, so a 13-minute featurette packed with new little glimpses of the movie is just icing on the cake at this point. But what you’re really here to see is the sheer delight of Gal Gadot in action as Diana, both when the cameras are rolling and when they aren’t, because it’s just the best. 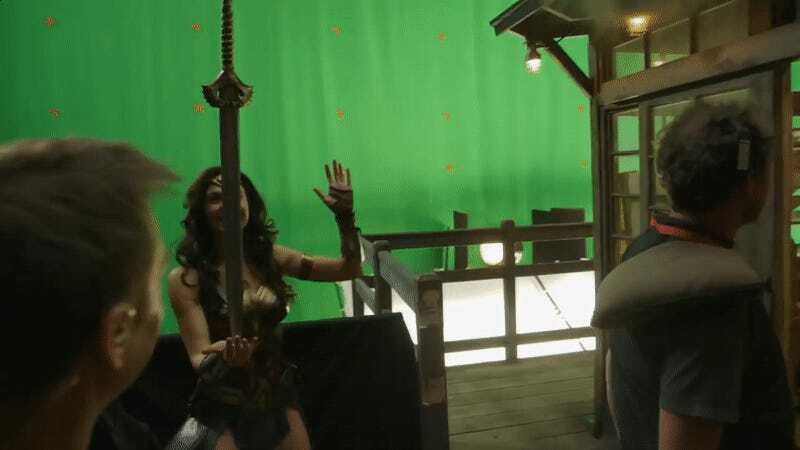 Covering everything from the premise to shooting big action sequences—like the oft-clipped No Man’s Land scene—to the passion of both lead star Gadot and her director, Patty Jenkins, this sizable behind-the-scenes look at the movie is exactly what you need if you’re counting down the hours till you actually get to go see the movie itself. Wonder Woman finally graces theaters June 2.